I’m a huge stats nerd. That being said, one of the things I enjoy most out of League of Legends is the fact that I can always check how many games I’ve lost or won, as well as loads of other data. This question took me by surprise, since I thought every decent LoL player already knew how to check their personal statistics. What I found out was that I was one of the rare (low elo) people that knew how to. This is why I decided to write this article: to share my knowledge to all the LoL players out there who are also stats nerds! I cannot stress how much I love this site. 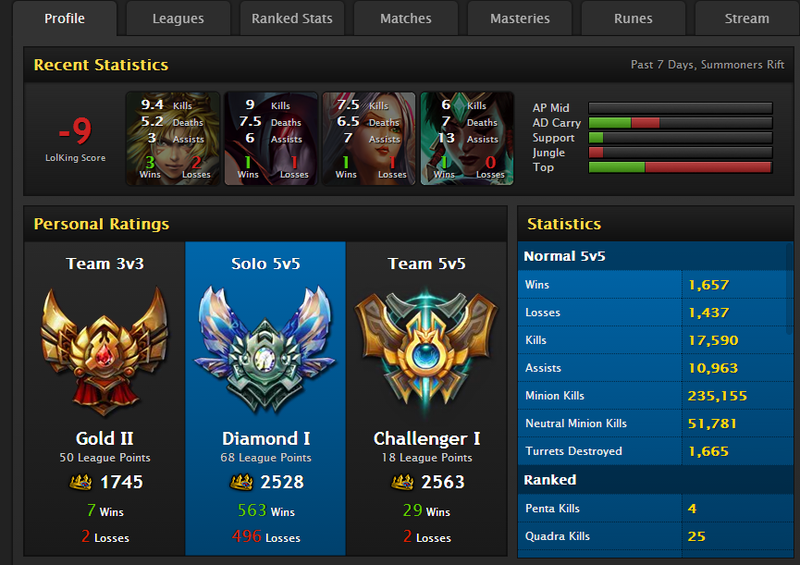 It has a huge amount of information regarding every champion in the game, plus your own personal stats! So that’s nice and everything, but what if you want to see your personal standings? Well, you see that search box at the top of the page, right under the “Lolking” title? 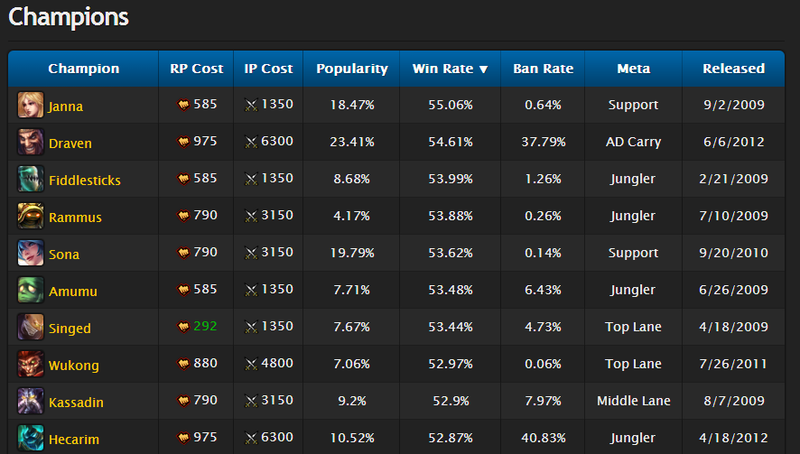 All you need to do is type your summoner name in said search box. 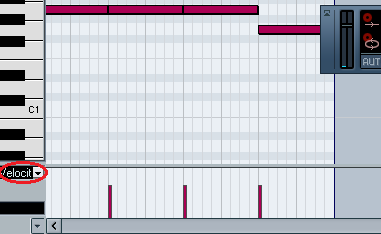 For the sake of this tutorial, I’ll just type Crs Voyboy. I am then presented with all the CRS Voyboys (one per server). I can then click on the one from North America (The Voyboy we all know!) to see all his personal stats! Simply do the same thing with YOUR summoner name to check your League of Legends stats! Awesome eh? Minecraft is most fun when played with friends. Almost every “lan party” I host (or go to) involves Minecraft. In some of these “parties”, we don’t have access to the web. In cases like these, it might be a bit confusing to get Minecraft to work in multiplayer. So the purpose of this post is to show you how to play Minecraft over lan without internet. The first step is to connect all the computers together through a router. If you only have two computers, then you can connect them through a LAN cable. The next step is setting up a server (if this isn’t already done). 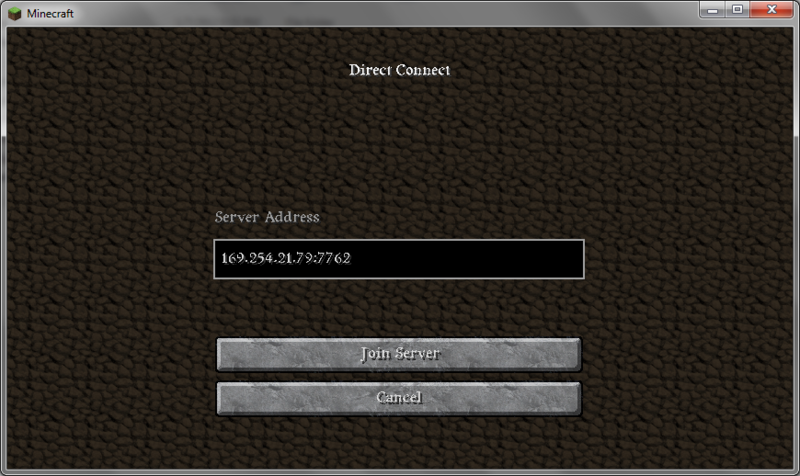 The easiest way to do this is to start the MC client (you’ll need to select the “play offline” box to be able to play). Next, click the singleplayer button and select/create the world which you want to play. 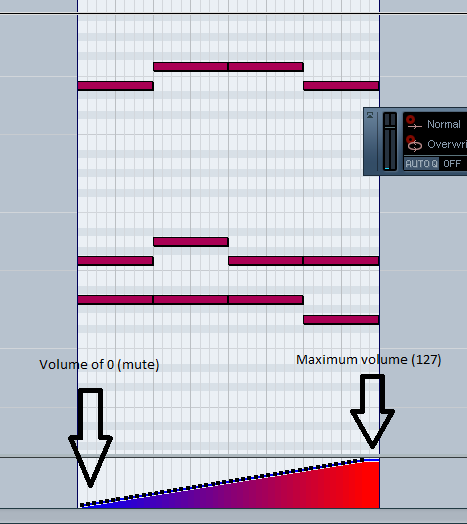 Once your world is created/opened, you need to make it accessible over LAN. To do so, press enter, then “Open to LAN”. Choose your preferred settings and press “Start LAN World”. Notice the message that appears “Local game hosted on 0.0.0.0:7762″ you needn’t remember the zeros, but write down the numbers after that. They correspond to the port through which other people can connect to our server. Note that you might also need to turn off your firewall to allow other people to connect. 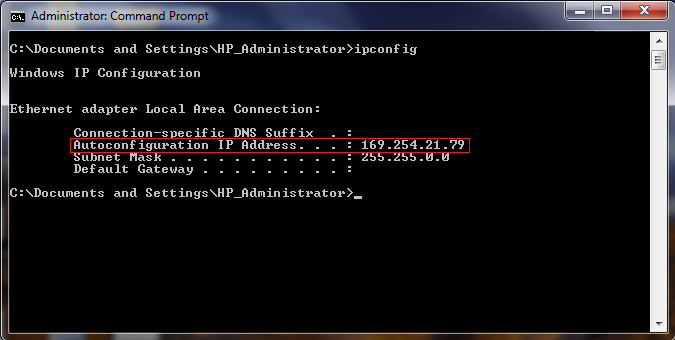 Now, you need to determine the IP address of your computer. 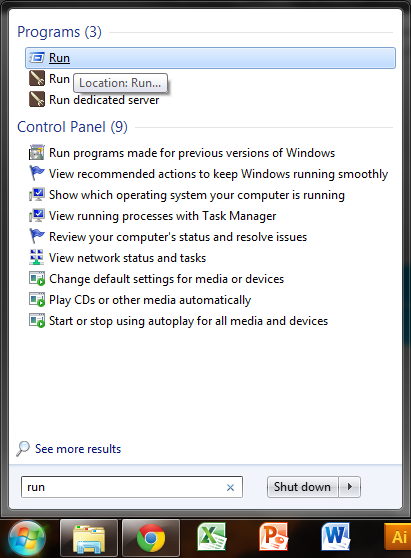 Go to the Windows start menu and click on run (if you’re on XP) or type “run” in the search bar if you’re on Windows Vista/7/8. 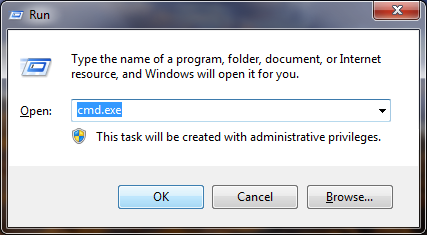 Once the Run program opens, type “cmd.exe” (without the double quotes) in the text box. This will pop up a Command Prompt window, which might look intimidating to those of you who are less computer literate. But fear not, what we will do is completely harmless. 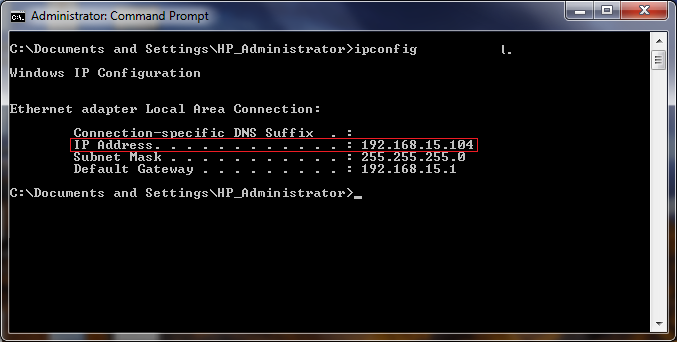 In the command prompt windows, type ipconfig, and press ENTER. This will pop up a bunch of different series of numbers. Now, the one you want to give your friend(s) depends on whether you’re using a router or a direct LAN cable. That’s it; you should now be able to play Minecraft over LAN without internet! On this blog, I use WordPress since I’m too lazy to code everything myself. Now, the other day, whilst trying to upload an image, I was faced with the infamous “Failed to write to disk” error. A quick Google search brought up the most common causes of this error, being a full server hard drive, incorrect permissions or a full tmp folder. I knew the problem wasn’t with the hard drive since I was able to upload all my data via FTP. I also knew that it wasn’t a permission problem since everything was working perfectly a few minutes ago, and my permissions hadn’t changed. So the problem was probably with the tmp folder… I decided to contact my host’s (Awardspace) customer support, and explained the problem. They replied within a few minutes with a nice little fix that I thought I’d share with you. Where yourdomain is your website address and foldername is the name of the folder you wish to use as the PHP temp directory. Once you’ve added this line of code, you’ll need to create a folder in your website’s root directory with the same name as the one specified previously. I also recommend you set this folder’s permissions to 755 (777 works, but is ridiculously unsafe). That’s how you change your PHP temp directory on shared hosting. Note that it might take some time for the changes to take effect. In all my years of PC gaming, I have never found a game that I’ve loved more than Minecraft. I started playing when beta 1.3 had just come out and have enjoyed it consistently since then. The epic worlds, the massive buildings, the… peculiar physics… it is formidably addicting after all. Of all the games in this list, Minetest is the one that most closely resembles Minecraft. It has similar mechanics, controls and graphics. It currently has a lot less features than MC and a much smaller user base. Knowing this, you might be asking yourself: “Why should I try Minetest then?”. Well, first of all, it’s free. And by free, I mean FREE. It is actually open-source, meaning you can view and modify its source code as you wish. Another area where this game shines over Minecraft is the dimensions of the map. 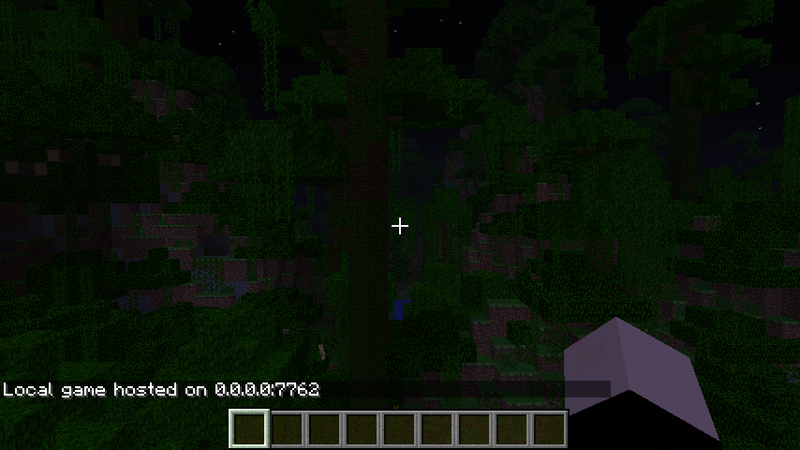 Just like MC, the world is randomly generated and can be of practically infinite size. Now, what’s really awesome is that Minetest also lets you dig infinitely deep and build infinitely high! Another thing worth noting about this game is that it runs on just about any computer. I can even play Minetest on my 5 year old netbook (that can only dream of running Minecraft). 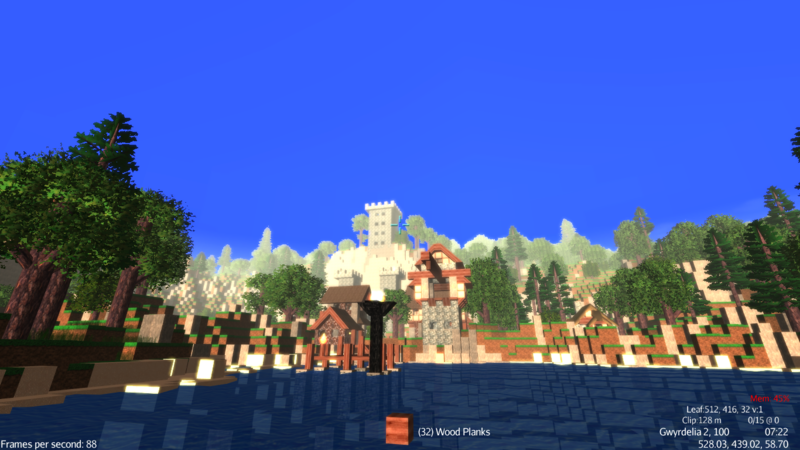 Mythruna is pretty much what you’d get if Skyrim and Minecraft had a child. It has a nice RPG feel to it while preserving the building aspect of MC. 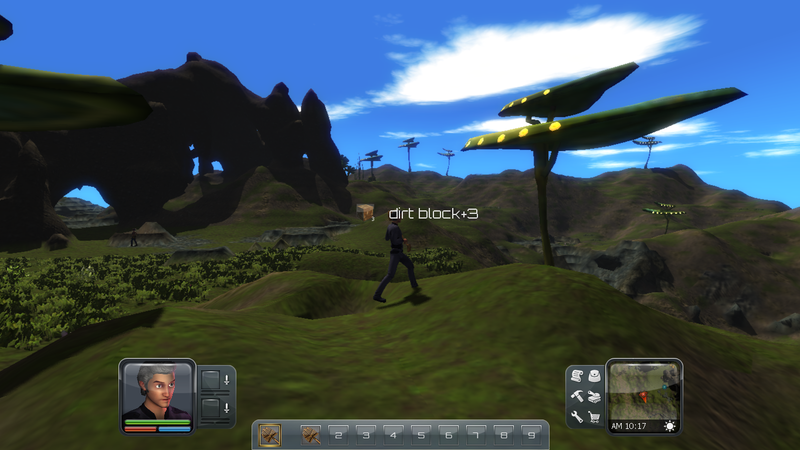 The creator of the game wants to combine role playing elements with a sandbox setting. Mythruna is currently in pre-alpha, but it already boasts stunning visuals, nice sound effects, working multiplayer and other nifty features such as the option of creating blueprints or that of placing slopes. On the downside, I found the performance of Mythruna to be lacklustre especially when compared to Minetest or even Minecraft. Also, it gets boring quickly (although I’m sure this won’t be the case when the game reaches beta, or even alpha). Since this game is currently free, I strongly recommend you try it out. This open-source game is pretty much the closest you’ll get to MC with better graphics. 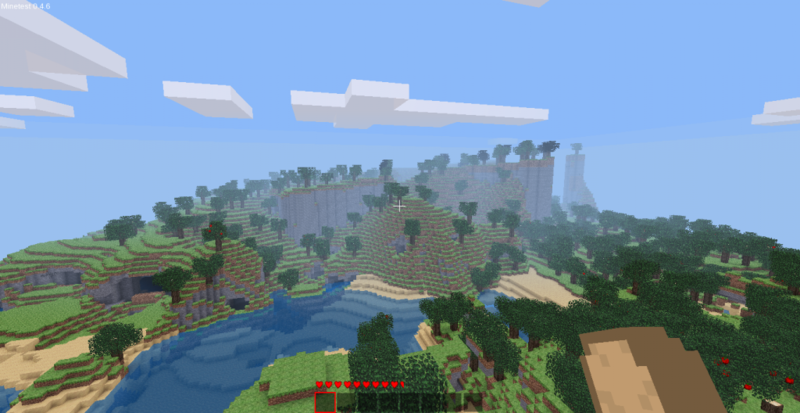 The gameplay and controls are extremely similar to Minecraft (and Minetest). I really like the world generator though, especially considering the game is currently in pre-alpha. The massive snow-topped mountains are marvellous. The game also has some cool stuff that Minecraft doesn’t (rail guns!) and is pretty polished. Unfortunately, I found it to be quite laggy on higher settings, which is not surprising since the game is coded in Java. In the end though, this is basically a clone of MC. I see no compelling reason why someone would want to play this if they already own Minecraft, save for the graphics (and… maybe the rail gun), but It’s an awesome alternative if you’re on a tight budget. This is my favourite game on this list. 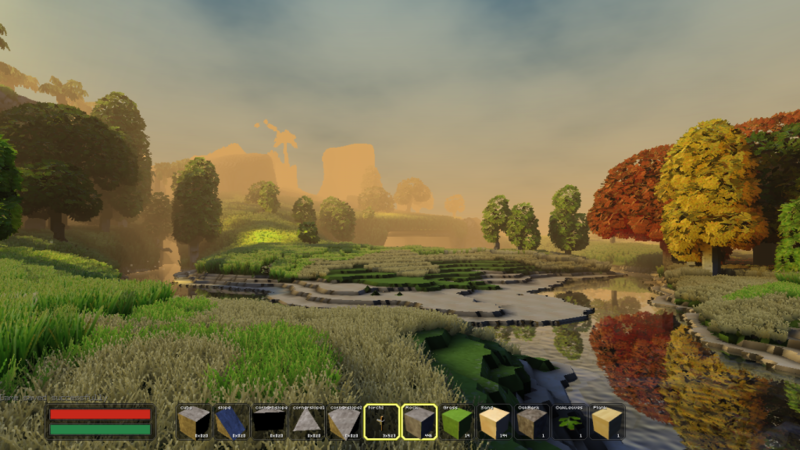 Blockscape caters to all of you out there who want to build with more detail than the games mentioned above. In Blockscape, you can change the size of your “block” tool to place either 4x4x4 blocks (about the size of those in Minecraft), 2x2x2 ones or 1x1x1 ones. This allows more defined structures while making it possible to quickly build massive walls or floors. There’s also a nice variety of slopes to choose from, making it possible to add even more detail! It’s also worth noting that the world in Blockscape is infinite in every direction, like Minetest, but that you’ll (currently) always spawn in the same world. Also, the visuals are… simply put, gorgeous. Unfortunately, this game also has downsides. 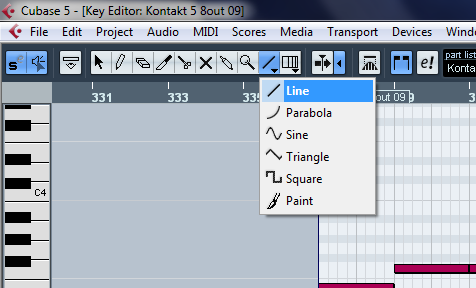 The most notable one is that it isn’t free (although a free demo is available). Nonetheless, I found that the thirteen dollars or so I spent on Blockscape were worth it. Other problems include the map’s ridiculously slow loading (and I’m on a very good computer) and the clunky controls. If you like to patiently build yourself a nice house in a beautiful and colourful world, then Blockscape is far superior to Minecraft. 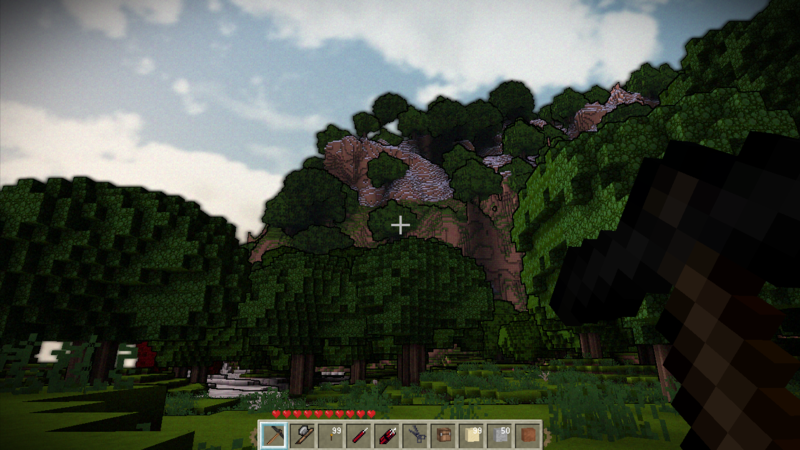 Ever wondered how Minecraft would be like if the world wasn’t made of cubes? How awesome it would be if you could build smooth structures that actually don’t look like Legos? That’s precisely what Planet Explorers is: It’s still cube based, but everything you build is ravishingly smooth. In this game, you’ve crashed on a faraway planet on which you can mine and build. There are currently three game modes: story (which is surprisingly good), adventure, and build. Adventure is akin to survival in Minecraft while Build is like creative. The game’s graphics feel more like the Sims than Minecraft. They look very professional. The game itself is well put together and packs a bunch of nice ideas. 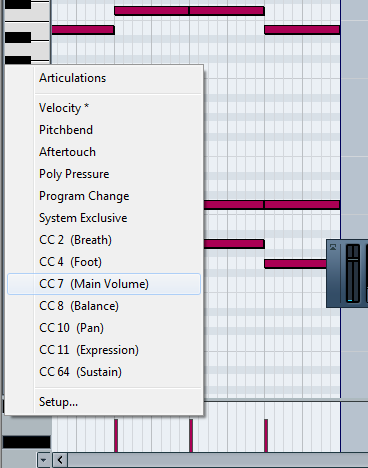 Unfortunately, It currently suffers from a few annoying bugs (ex. had to try a few times to get build mode to work), but I can’t wait to see what this will look like in a few months. It’s free for now, so I recommend you download and try it! Can’t move in LoL? 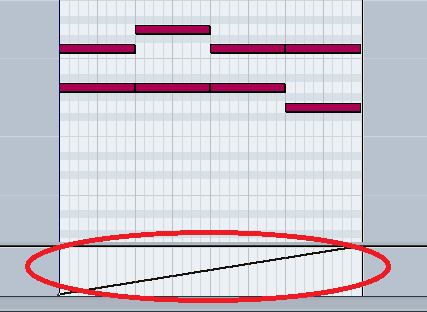 Here’s a simple fix! The other day, I was playing an ARAM (they are so much fun!) and decided to change my key bindings. I had made a few modifications to them the game before and wasn’t happy with them: I wanted the defaults back. 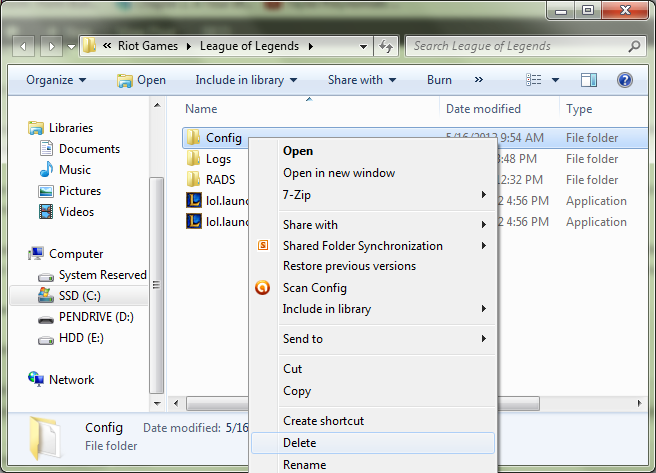 So anyway, I go into the League of Legends options menu and reset my key bindings, then go back to the game. Seeing that my team is getting pulverized by the enemy fiddle, I quickly right-click to go help them… But my character (Lux) refuses to move. I try again, and still nothing. I then proceed to frantically smash my right mouse button, yet to no avail. Since the chat still works, I try to explain the situation: I’m not afk, I just CAN’T MOVE. Unfortunately, they don’t listen and continue raging, while I sit there, powerless as our Nexus gets destroyed. After we lost that game, I create a custom game vs bots to see if the problem persists…. and it does. I try disconnecting and reconnecting, restarting my computer, resetting my options to the defaults, yet nothing works. Finally, in a stroke of genius, my friend (who is a computer nerd just like me), proposes that I delete my LoL configuration files. His reasoning behind this is that, since my problem started after I tried to change my key bindings; it’s probably that the configuration files got corrupt. Taking my friend’s advice, I opened up windows explorer and navigated to C:\Riot Games\League of Legends and deleted the Config folder. Once this is done, I fire up League of Legends and… surprise surprise, it works now! That’s it for today, I hope this helps out the people out there who can’t move in LoL!